Sangrita is traditionally blended using tomatoes, or tomato juice, orange juice, fresh lime juice, onions, salt and hot chili peppers. Born in the state of Jalisco, Mexico, sangrita was created to quench the fire of homemade tequila and quickly became a Mexican tradition. Typically used as a tequila chaser, mixer, or co-sip, sangrita allows the person to appreciate the premium tequila while sipping alternately from each of the glasses. Sangrita (meaning "little blood" should not be confused with the popular Spanish fruit and wine elixir, Sangria. There are several commercial brands available but sangrita is easy to make and tastes much better if you make prepare it yourself. There are several recipes, most use tomato juice and orange juice at about a one to one ratio, with lime juice, salsa picante and other seasonings. Sangrita de El Jimador - Info from Casa Herradura web site. 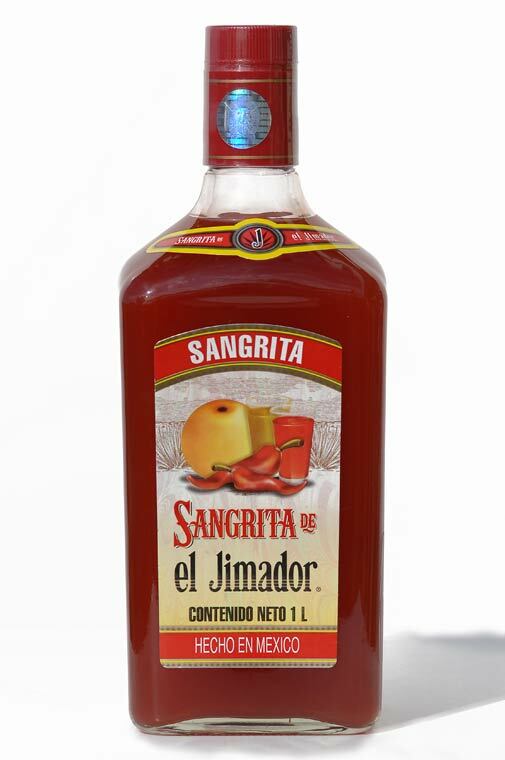 Created in 1997, Sangrita El Jimador is a beverage made from orange juice, tomato and spices. It is ideal to be sipped with a good tequila from Casa Herradura. It adds freshness and flavour to a good Tequila. 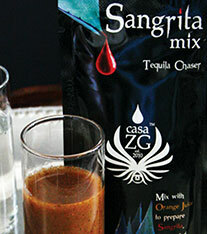 Sangrita El Jimador is very popular because of its exclusive formula and is acceptable for all palates. 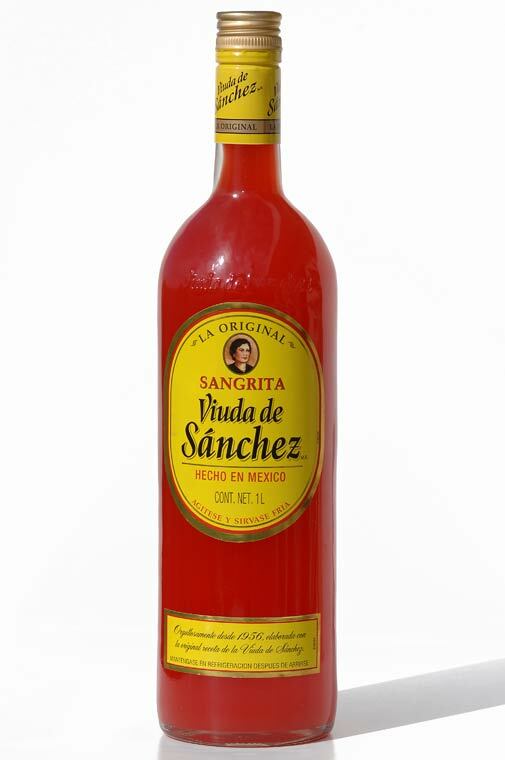 Sangrita Viuda de Sanchez - Not the best tasting and not very spicy. Ingredients: water, sugar, salt, hot sauce, citric acid, orange emulsion, potassium sorbate, xanthan gum, sodium benzoate, red #40 and yellow #6. It appears that Sangrita de el Jimador and Sangrita Viuda de Sanchez are the only products still on the market. The web sites for Sangrita Real, Sangrita De La Casa, and Tapatia Sangrita have been off line for a year or more. Sangrita de la Casa - Made with natural orange and grapefruit juice concentrates, (no tomato juice), salsa picante, salt, sugar and some food coloring. Founded by Don Edmundo Sanchez more than 36 years ago. http://www.sangritadelacasa.com/ Note: July 2009 - link is not working. Previous phone numbers are no longer in service. 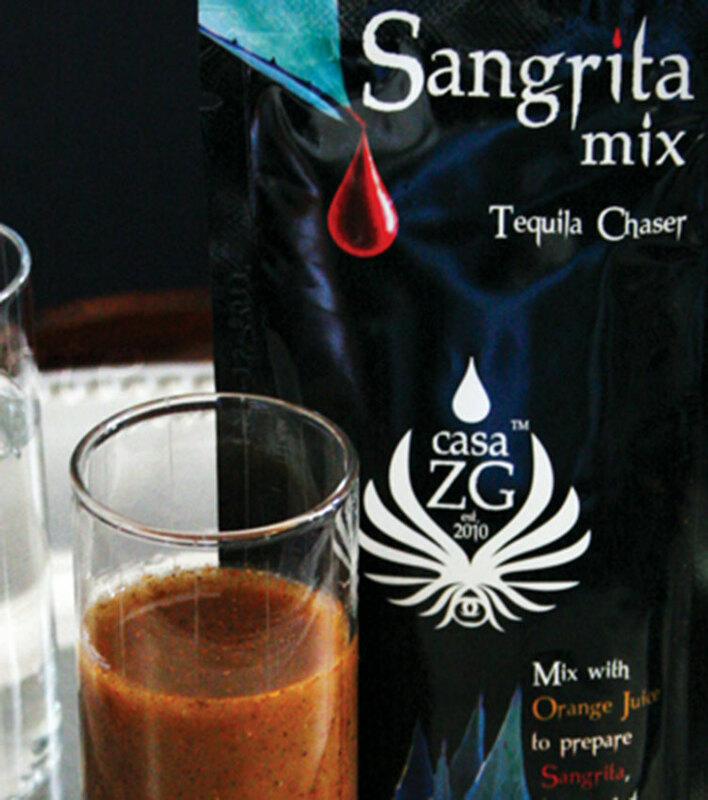 Sangrita Mix by Casa ZG - Crafted to complement the distinctive flavors of fine tequilas by going back to the original versions of Sangrita, which were prepared using orange juice as a base. We created our original mix by selecting different varieties of chiles (each chosen for their earthiness, smokiness, fruitiness and heat),natural fruit flavors and spices to create a custom blend that will excite the palate. Super easy to preapare, just mix with orange juice and serve alongside your favorite tequila. Best with blancos and reposados. Sangrita Real - A 100% family-owned beverage company, providing consumers the perfect companion to one of life's most distinguished pleasures -- Tequila! Sangrita Real is made with 100% all natural ingredients and is blended to high-quality American standards. Sangrita Real brings balance and harmony to your favorite tequila and empowers the tasty combination to mouth-watering levels. http://www.sangritareal.com/ - October 2007 - Note: July 2009 - link is not working. Previous phone numbers are no longer in service. Note: July 2009 - link is not working. Tequila Tamer - The Premium Tequila Chaser - Inspired by Mexican Tradition. 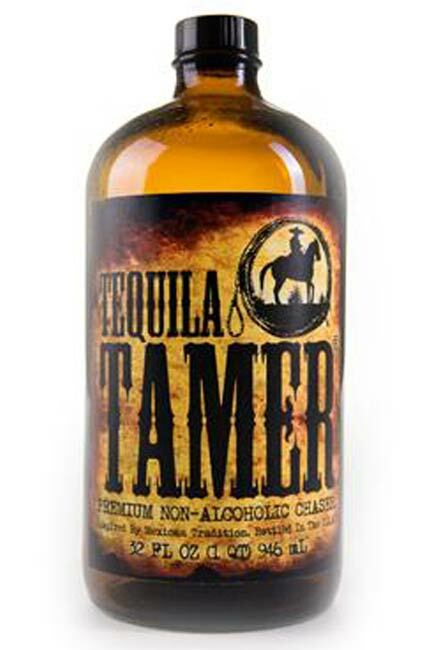 Tequila Tamer is made in Southern California from peak season tomato juice, the finest Peruvian lime juice, grenadine that's free of corn syrup and artificial sweeteners, and aged red peppers. It’s bottled in amber glass to preserve freshness and flavor. This recipe makes about one liter of sangrita. For the onion juice, I chopped a small white onion and used a lime squeezer. Different brands of hot sauces can be substituted and the amounts adjusted to taste. Sangrita should be a bit spicy. Mix all ingredients and refrigerate. Serve in a shot glass along side of your favorite tequila or use as a mixer for the popular Vampiro. Variations - add some freshly ground black pepper or a bit of celery salt to taste. This recipe makes about one liter of sangrita. Different brands of hot sauces can be substitued and the amounts adjusted to taste. Sangrita should be a bit spicy. Mix all ingredients and refrigerate. Variations - add some freshly ground black pepper or a bit of celery salt to taste. You can add a bit of Grenadine for a deaper red color. Sangrita la Mansion - from Chef José Ortega at La Mansion del Sol, a small boutique hotel located in the heart of one the best areas of Guadalajara, Jalisco, Mexico.